This goes without saying, but let’s just say it anyway… weed is great! People from all walks of life can be fans of pot. From janitors, to artists, to stay-at-home moms, marijuana doesn’t discriminate. It’s so popular in fact, that even the wealthiest of celebrities (who can afford almost anything in the world) choose marijuana as their favorite drug! 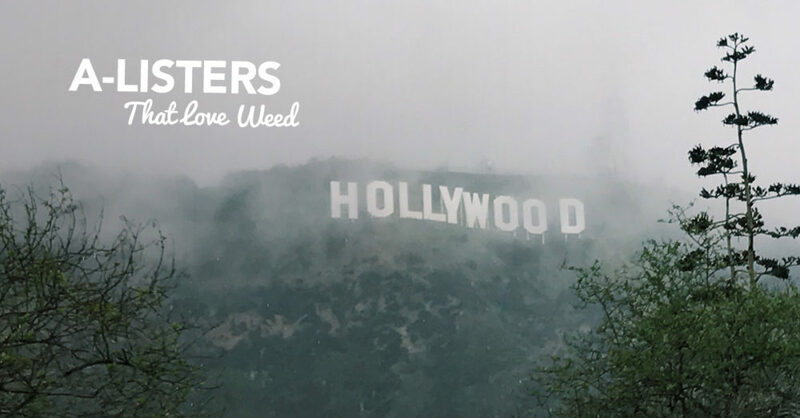 Learn more about famous people who love weed. Stars, they’re just like us! Rogen has been a long time fan of weed. So much so, that he even made a movie, Pineapple Express, about the topic! This legendary musician is a well-known reggae icon and cannabis advocate. He was often photographed with a joint between his fingers. In 2015, Lawrence revealed to Andy Cohen on his show, Watch What Happens Live With Andy Cohen that she got high before the Oscars. She wouldn’t however, reveal which year. Chappelle is an avid marijuana user and is very open about his habit. He often referred to it on his old sketch show, Chappelle’s Show, his stand-up sets, and in the classic stoner movie, Half Baked. Snoop is such a big fan of weed, he started his own brand in 2015. Leafs by Snoop is a cannabis line owned and promoted by Snoop Dogg and produced by Canopy Growth Corporation. Cyrus is a famous popstar and daughter of country crooner, Billy Ray Cyrus. She’s come a long way from under her father’s shadow however and has a persona all her own, one that is very much pro marijuana–as evidenced by her flamboyant, weed-decorated wardrobe choices. Nelson has been a long time advocate for cannabis legalization. He believes that organic weed, used in moderation, is highly beneficial and is the “safest medicine you can take.” He believes in the magic of marijuana so much, that he even has his own line, Willie’s Reserve. Rihanna unapologetically loves marijuana. Don’t believe us? Just check out her instagram. Riri loves to ‘gram her habitual marijuana use. Ex-NBA star Lamar Odom was once embattled in a highly public struggle with crack addiction. But he’s since changed his habits, accrediting pot as the cure to curbing his crack use. He too, is starting a weed business venture, investing in marijuana products. Pitt has a well-known reputation in Hollywood as a stoner. It’s even alleged that he accepted the role in Quentin Tarantino’s Inglourious Basterds, because the two got drunk and high together one night.